Imagine the benefits: Patients don’t have to take time off work or school to come into the office for consultations, follow-up appointments, to obtain lab results, or post-operative guidance. Physicians have more time in their schedules for new patients and those who must be seen in person. Telemedicine can meet many different needs for both patients and physicians. The HIPAA-compliant technology has evolved to the point where it’s helping providers offer continuity of care and a seamless experience for patients while enabling practices to generate more revenue. Dr. Jelunder Clark, a family medicine practitioner based in the Atlanta area, incorporated telemedicine into her practice more than a year ago. It’s given her a way to offer patients more access to her and two nurse practitioners. Telemedicine has also enabled her to take care of urgent calls with patients. In fact, Dr. Clark recalled an occasion when her schedule was booked solid and a patient desperately needed to be seen. Dr. Clark conducted a telemedicine call in a parking lot to accommodate the patient. Time-savings and convenience are the benefits of telemedicine most often cited by physicians. And sometimes patients are too frail or sick to come into the office. Dr. Clark said patient “visits” via telemedicine can range anywhere from 10 minutes to 20 or 30 minutes. She’s able to make diagnoses, do follow-ups, and discuss lab results on these calls and feels the system enables her to get a good visualization of problems. The system she uses also informs her which insurances are billable and which are not. On average, Dr. Clark conducts about 10 visits a day via telemedicine and estimated that 10% of her revenue is coming from telemedicine. “We could do more,” adding that she’s interested in expanding her use of the system and teaching other doctors how to use it. 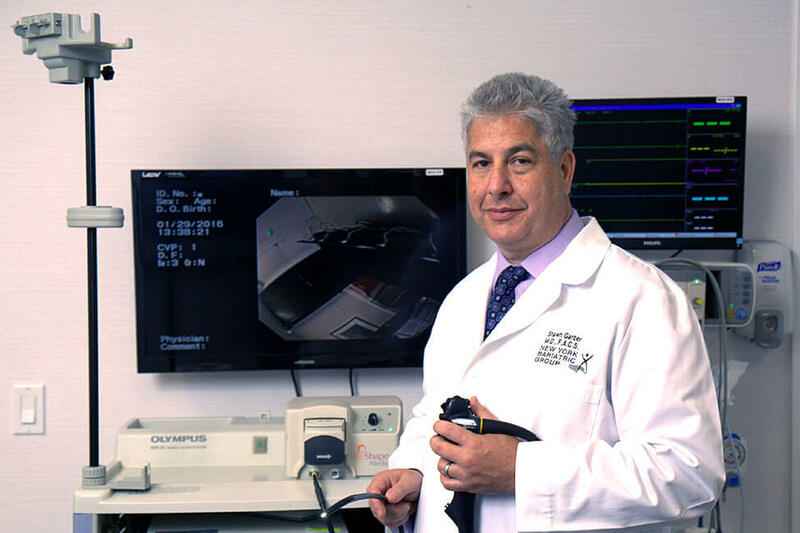 Dr. Shawn Garber, the founder and director of New York Bariatric Group, a 65-person bariatric medical practice based in New York City, uses telemedicine to conduct consultations for new patients and pre-surgical appointments. He also offers an array of post-surgical support services that are uniquely suited for the telemedicine platform. The aftercare program includes nutrition, exercise, and behavioral modification for gastric balloon patients, surgical weight loss patients, and medical weight loss patients. An expert in his field, Dr. Garber attracts prospective patients from all over the U.S. and internationally. He uses the platform on a regular basis for post-operative care, which includes a session with a nutritionist, weekly support group meetings, and behavior modification classes — these offerings represent additional revenue outside of insurance reimbursements. Since offering lifestyle services via telemedicine, Dr. Garber has seen nearly 75% of patients comply with postoperative nutrition, a vast improvement and something that could be crucial as medicine transitions to value-based care. While less than 5% of new patient consultations come through the platform, Dr. Garber said he expects his virtual consultations to double in the next year. “It’s growing very fast; it’s the way medicine is moving.” In addition, with seven office locations, he and his staff of nutritionists and a psychologist can do virtual visits. “It helps my personnel provide services at all offices,” he said. The platform also helps his practice distinguish itself from the competition by demonstrating it’s on the cutting edge of new technology. Tampa-based BioSpine Institute, a 100-person practice for minimally invasive spine surgery, has been using telemedicine for close to a year. The two biggest uses are for new patients who don’t yet have an MRI and for postoperative patients. “We need to see the patient before we put in a prescription for the MRI. Once we have the MRI, then we can diagnose. So we can conduct this visit over our e-visit platform,” said Martin McCauley, Director of Patient Services for BioSpine Institute. Todd Williams, Physician’s Assistant, is able to meet with patients who need to have an MRI ordered. There’s no need to use the surgeon’s time to do that. “From a revenue standpoint, this frees up the schedule because it’s time that we can use for patients who already have an MRI, and it’s a way for us to keep our schedule clear and available for another new office visit,” he said. “We really want to make sure our clinic schedule is being used correctly.” The goal, he added, is to create space in the schedule for new office visits since those visits turn into surgeries. In addition, he said for postoperative visits, patients can upload a photo of their incision for the doctor to review. McCauley said telemedicine is currently 5% of the practice’s revenue. But the bigger picture is that for every new office visit, there’s about a 40% chance it will turn into a surgical case. Another way to look at it: “For every 10 e-visits we’ve done, we’re freeing up 10 new office visits,” he said. In addition, two hours from Tampa, in Naples, there aren’t a lot of providers who do what BioSpine does. McCauley is considering implementing a digital marketing campaign focused solely on the practice’s e-visit platform, highlighting the e-visit option specifically. “We’re looking for this to grow 2X or 3X from where we’re at. It could become 8 to 10% of the practice,” he said. Practicing in greater Miami, Alejandro Badia runs Badia Hand to Shoulder Center, specializing in hand and upper extremity orthopedic surgery. Because he has a very large base of international patients, Dr. Badia decided to incorporate telemedicine in September 2016. 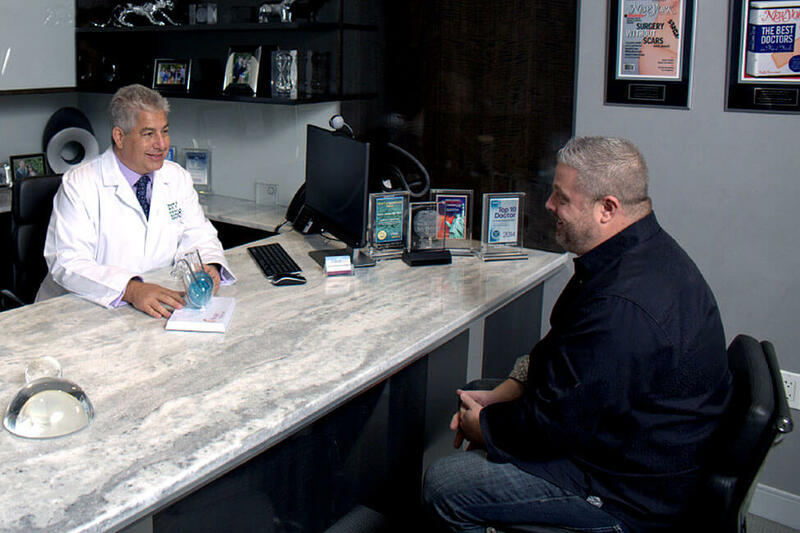 “I have many initial consultations through telemedicine that often define whether or not a patient needs to travel to Miami for surgery. I also accept telemedicine e-visits for second opinion cases and follow up appointments,” he said. “Telemedicine has been an incredibly interesting addition into my practice. My specialty brings in many people from around the world who don’t necessarily have hand and upper extremity specialists in their own countries. As a surgeon, most of the cases that come in through my door are surgical cases, but at times some cases can be solved with therapy,” he continued. 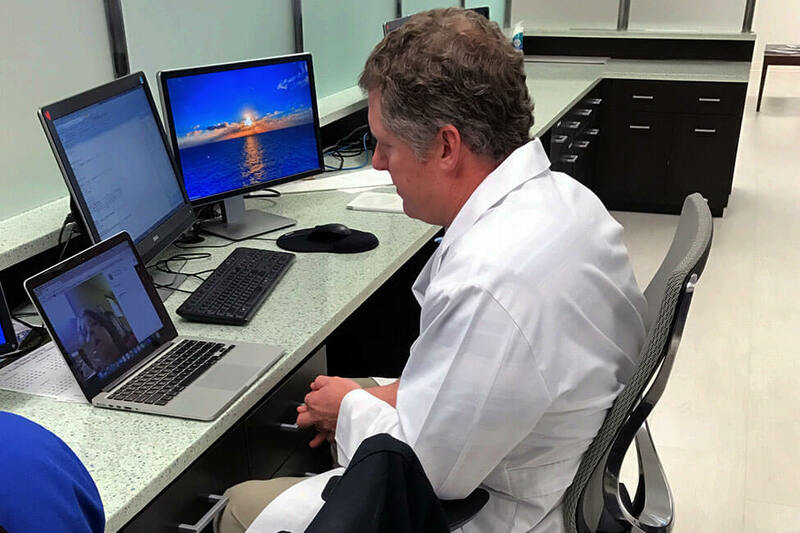 “The remarkable thing about telemedicine is that it allows me to engage with my patients even when they aren’t physically at the Center,” Dr. Badia said. Revenue from telemedicine is currently in the single digits, he said, which isn’t to say it doesn’t have a positive impact in revenue. In fact, payment for the service has no interference with insurance, which is perceived as an advantage. Since launching telemedicine, Dr. Badia said his practice has seen a significant number of international patients who needed a procedure and may not have traveled to the Center without an initial virtual consultation. He said the ability for prospective patients to speak with him “face-to-face,” have questions answered, and see animation of the recommended procedure has made all the difference. Dr. Padam Bhatia is the co-founder of Miami-based Elevate Psychiatry. He frequently uses telemedicine in his private practice to perform evaluations on patients who either are too far away, too busy, or too ill to come to the office. Dr. Bhatia estimates that 10% of his patients use telemedicine for ongoing therapy or medication management, or they do a mix of in-office sessions and telemedicine. He uses a HIPAA-compliant platform that enables him and his patients to dial in via mobile phone, tablet, or a computer; no software has to be downloaded. In the online listings for his practice, Dr. Bhatia always mentions that he does telemedicine. “People find it helpful, and clinicians have reached out to us and referred patients for telemedicine,” he said. The net result is more referrals and patients searching for telemedicine on their own. “Right now, most of the referrals are coming from patients who are located in a place that doesn’t have a provider who can see them right way,” he said. 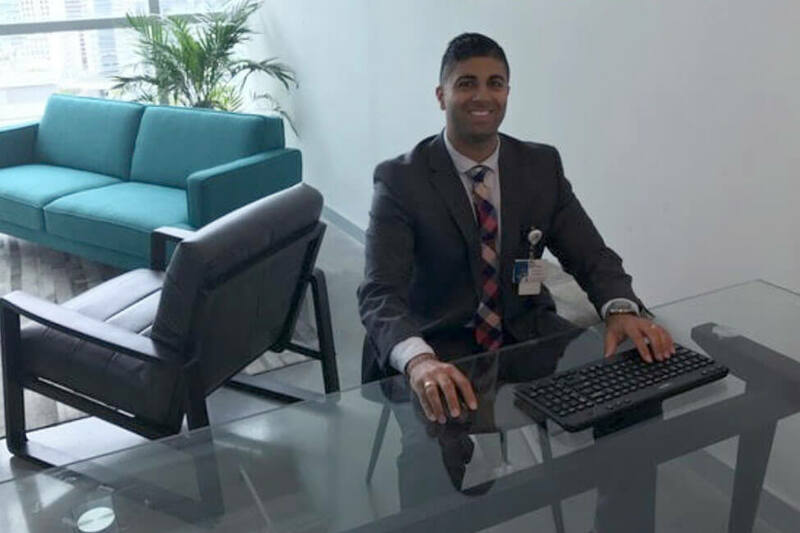 Dr. Bhatia has offered telepsychiatry as an option since March 2016, and it has accounted for 20.5% of his total revenue, which was much higher than he anticipated. Since the start of 2017, he estimated that it accounts for 44.3% of his total revenue. And looking back at the growth, he believes the primary factor was listing telepsychiatry as an option in advertising campaigns, whether on his practice’s website or online listings. “Also, offering it to current patients has also spurred an increase in its usage, as some patients will go for the option if they are temporarily unable to come to the office due to worsening illness or schedule demands,” he said. Avivit Ben-Aharon is a licensed speech therapist, founder, and clinical director of Gr8 Speech Inc., a telespeech company that offers speech therapy services using a HIPAA-compliant Skype-based technology. Ben-Aharon, who began using the platform in 2009, uses it to provide initial and ongoing treatment, assessments, consultations, therapeutic services, individualized education programs (IEPs), and rehabilitation. The platform offers the potential for more consistency and less patient cancellations due to weather or scheduling issues, the ability to offer services in remote areas and countries where there are limited speech services, and shorter, more regular sessions, which contributes to continuity of care. It also enables Gr8 Speech to enter underserved areas. He said Gr8 Speech has grown more than 200% since 2015, as people become more accepting of telespeech and as technology becomes more user-friendly. The company offered services in only two states in January 2014 when it implemented the platform full-time. Now, Gr8 Speech therapists are licensed and provide services in 26 states. Insurance carriers cover appointments via the platform, and that has helped Ben-Aharon grow beyond his primary base of children to address adults through tele-rehab services for post-stroke patients suffering with aphasia or TBI (traumatic brain injury), as well as dementia. Ensure that the platform is HIPAA-compliant and user-friendly. Offer collateral and support to patients on how to use the platform. Brochures or online video tutorials are helpful. The American Telemedicine Association (www.americantelemed.org) and state departments of health offer guidance. Make sure the location of both patient and practitioner are known (for emergency purposes) and configure the practitioner’s room for privacy. Promote the service to patients and educate the public on its legitimacy. “We must normalize this alternative option of consultations,” Dr. Badia said.